Visit a charming village and enter a world where magic is real! 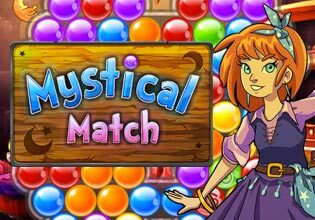 Mystical Match is a whole new spin on puzzle games! Remove balls from the game board by selecting like-colored groups of 2 or more, but select groups of 5 or more to "merge" them and create awesome power-ups! You've never seen or played anything quite like it before!